Years ago, when I was doing Flash Gordon, I received a request for some drawings from a guy who had a sick grandma who grew up reading (insert character’s name here) – it was one of her favorites! He wanted one Flash Gordon drawing for his Grandma, and if possible, another two for his kids. The weird part? He wanted it on uncirculated sheets of two dollar bills. Regardless, I rolled the dice and thought it was quirky enough that it might actually be true – drawings sent. 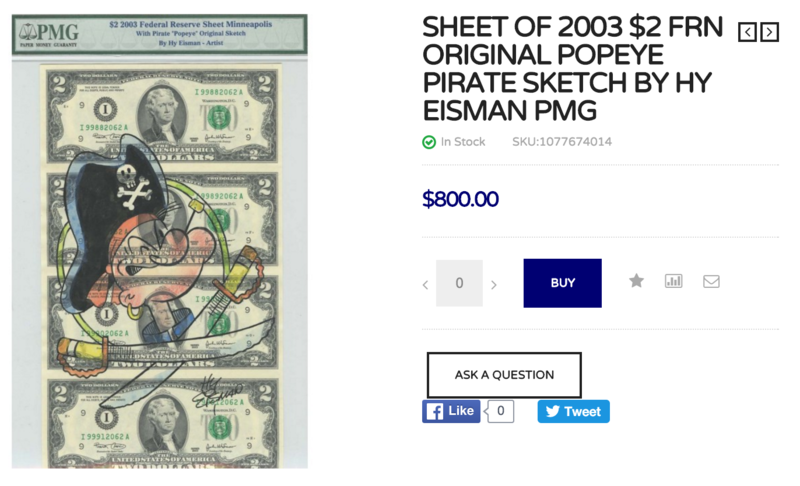 Months later I got a letter from Popeye cartoonist Hy Eisman (one of my teachers from the Kubert School) informing me I had just been scammed. Enclosed with the letter was an insert from a catalog with cartoon art for sale. 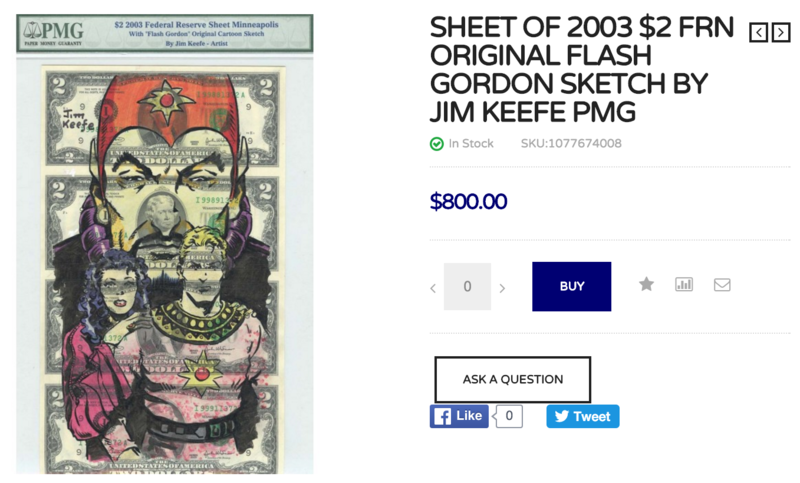 The art was drawn on (wait for it)… uncirculated sheets of two dollar bills. Web version of catalog page. And how did Hy Eisman find out about it? Suffice it to say, my days of giving people the benefit of the doubt was over. Now some people argue that once you give away a piece of art to a fan, what they then do with it is out of your hands. Well… that’s true – but to intentionally misrepresent why you want the art (sick relative) in order to flip it for profit is where that line of reasoning goes off the rails. Al Williamson once told me a story of his disillusionment when he gave away a drawing to a young fan at a convention – only to find out later that the kid was a plant that a comic art dealer was sending around to scam cartoonists out of as much free art as possible. I’d also like to add that back in the day, it actually took some effort to scam artists as you had to resort to mass mailings, postage, etcetera. Today they can reach hundreds with just copy, paste, send. And some of these scammers are just plain lazy. That said, I’m not in the spotlight like some of the hot artists currently out there, so I can only imagine the headaches they have to deal with – be it Adam Hughes having to put a halt on convention sketches or Jimmy Palmiotti and Amanda Conner announcing a 5 book free signing limit. You can only be jerked around so much before you have to start putting up fences to safeguard yourself. Another headache for cartoonists are hacks blatantly stealing their work and selling it as their own. The poster child for this kind of plagiarism being Rob Granito. 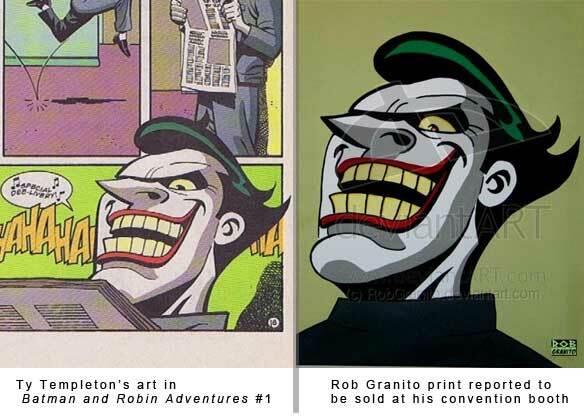 Countless examples of this keep cropping up – most recently spotted was Hakan Ozcan ripping off Ron Garney. These kind of activities have been brought to light more and more of late due to vigilant fans and pros putting a spotlight on these hacks via posts on the internet. And as the number of comic cons grow more needs to be done on the part of convention organizers to weed out these crooks. For the most part, time constraints prohibit me from fulfilling requests for sketches and donations for auctions. With the advent of e-mail, there are just too many requests and too little time. And the thought of neglecting paying work so I can draw something for a “fan” who just wants something he can flip and put on ebay that he got from me for free..? Commentary I’ve come across online since posting. 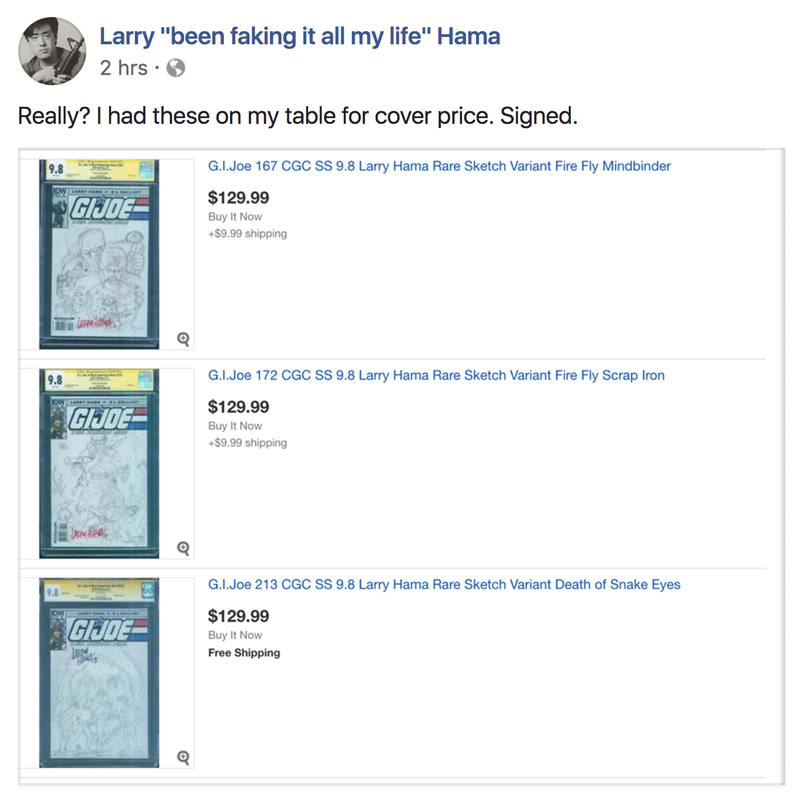 From Larry Hama’s Facebook page. I am sorry that a few have ruined it for the rest of us. Years ago I was a comic con and Paul Gulacy was a guest. He was working on Shang-Chi for Marvel. My brother, and two of my cousins along with my self stood in line to get him to sign a book for us. We were 14 at the most. Two large men told all of us that Mr Gulacy had only time to sign one book each and we were to ask no questions of him. A third man with them was talking to Paul as we were waiting. He was having Paul draw a Shang -Chi. I had Mr. Gulacy sign one of my books and as I asked him if he would ever work on a Shadow book? I was glared at by all three as Paul stopped to speak to me. 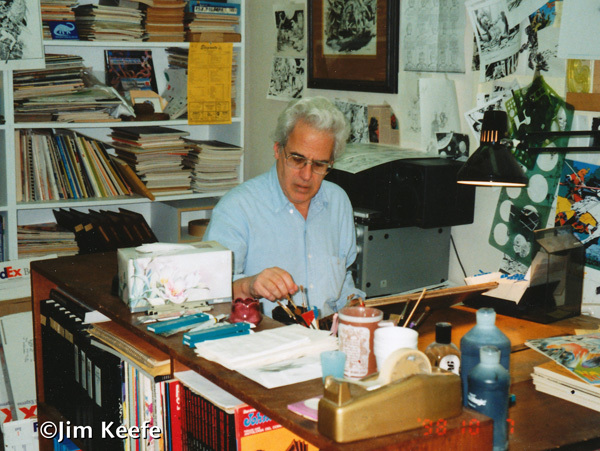 Years later at a comic store the same man was showing off his collections of art, he was so proud of the fact that he would go to cons and have his two friends block others from asking for a sketch, autograph or ask questions, so he could have more time with the artist. It takes all kind!! This entry was posted in Business of Cartooning, Ramblings & Reviews and tagged Al Williamson, Hy Eisman, scam. Bookmark the permalink.